As I have mentioned before when writing about Henry Hathaway and Henry King at 20th Century Fox, there was also a third Henry there, Henry Koster. As they were known as "the three Henrys" I feel I should write something about Koster too, as part of my on-going focus on Fox. Henry Koster made close to 50 films but the overwhelming majority of them are more or less forgotten and unknown today. But some of them were very important in their own time and a few of them have become loved classics, albeit not for a general audience perhaps, and they are not necessarily known and remembered as "his" films. The Inspector General (1949) is known for being a Danny Kaye-film, and Harvey (1950) is known for being the film with James Stewart and a giant, invisible rabbit. But they are also indicative of the kind of films that Koster primarily made; slightly whimsical fairy-tales and musicals, often with a religious theme. 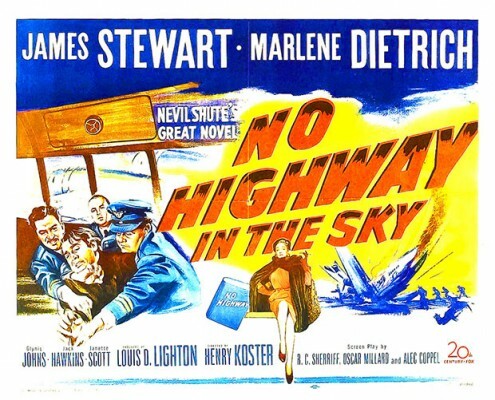 I say primarily for a few of them, such as No Highway (1951, aka No Highway in the Sky), My Cousin Rachel (1952), The Robe (1953), D-Day the Sixth of June (1956), strike a very different tone. Koster was born in Berlin in 1905, as Hermann Kosterlitz. His mother was very musical and loved the opera so young Hermann grew up with music. His father, a travelling salesman in lingerie, was however not a music lover and Koster suggested in an interview that this might have been one reason why his parents separated in 1910. His mother wanted him to become a musician but Koster was more interested in painting and drawing and he did cartoons and illustrated children's stories. But he did have an interest in films too. He worked as a newsreel cameraman and an editor, and wrote some film criticism. He adored Ernst Lubitsch and was a close friend to both Billy Wilder and Joe May. 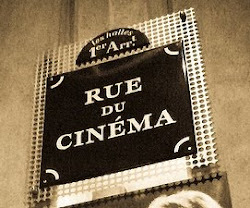 (The artistic crowd used to hang out at Romanisches Café, and that included various filmmakers. Even Lubitsch might drop by from time to time.) When Koster was 19 he began writing film scripts and his career as a filmmaker got started. His first acknowledged credit was for Die große Gelegenheit (1925), directed by Lorand von Kabdebo, and he would then write several films a year. One, Eins + Eins = Drei, he wrote together with Béla Balázs, and it was directed by Felix Basch in 1927. But he most frequently wrote for Kurt Bernhardt (later known as Curtis Bernhardt). These were mostly dramas or more serious work and Koster felt closer to light comedy so in 1928 he began working with the writer Hans Wilhelm, in that genre. In 1932 he helped Erich Engel with the direction of Fünf von der Jazzband and soon he was directing on his own. The most important thing to mention though is that the producer of Fünf von der Jazzband, Joe Pasternak, became impressed with Koster's work on the film, and would remember him. They were to become great friends and also the saviours of Universal Pictures in Hollywood. But that was still in the future. A more immediate concern was the rise of the Nazis. Life in Germany had been ugly for some time and when the Nazis came to power Koster, as a Jew, had to flee. 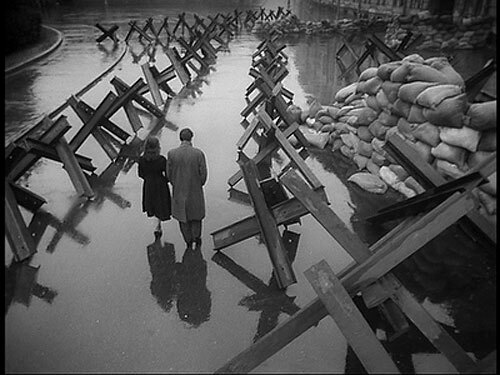 That was in 1933 and he went to Paris, to where Kurt Bernhardt had already moved and they made some films together. Then Pasternak got in touch in 1934. He was a producer for Universal Pictures's European productions and was at the time based in Budapest, Hungary. He wanted Koster to come and work for him and he did, writing and directing a number of films around Europe that Pasternak produced, until Carl Laemmle, the boss of Universal, wanted Pasternak to come to Hollywood. He said he would be happy to if Koster could come with him. Reluctantly Laemmle said yes, and later that year Koster was having drinks at the Algonquin Hotel in New York with his wife. But in Hollywood there were no jobs. Although Koster had a contract with Universal they were not willing to let him do anything, so he just went to the studio every day, sat under a big tree and read the newspapers. Universal, which during the beginning of the 1930s had had great successes with their horror films, were now on the verge of collapse and bankruptcy and they were at a loss as what to do. 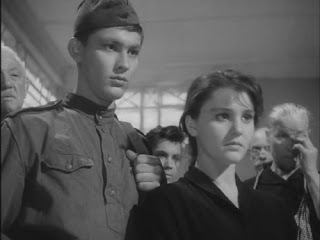 Fortunately for them they finally asked Pasternak and Koster what they would do if they were to make a film. Koster told them an idea he had, and the studio went along with it. Then the casting began and Koster and Pasternak found an actress called Edna Mae Durbin, who had never acted in a feature before but had done some radio performances. They fell for her and Koster began coaching her privately to prepare her for her proper film debut. The film, Three Smart Girls (1936), became a huge hit and Durbin too, as Deanna Durbin. That is what saved Universal from financial ruin and Pasternak, Koster and Durbin made several more films together, all light comedies with lots of music. He frequently worked with the cinematographer Joseph A. Valentine, and the films can be said to be made under the spell of Lubitsch, without being nowhere near as good. (Lubitsch did give his approval after having seen a preview of Three Smart Girls.) Beside the films with Durbin, Koster and Valentine also made The Rage of Paris (1938) which was Danielle Darrieux first film in Hollywood. She is good but the film is not. 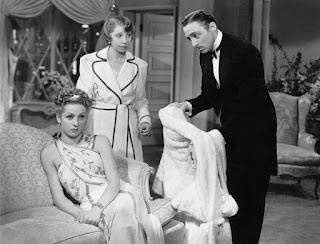 Darrieux in the sofa, with Helen Broderick and Mischa Auer. 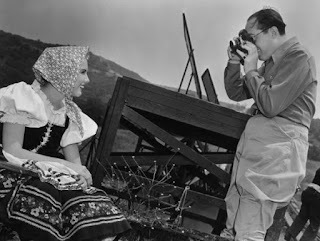 Even though Pasternak and Koster had initiated the Deanna Durbin film series, Universal felt that Koster worked too slow and in 1938 he was replaced as director and Norman Taurog took his place. The "Durbin unit" as it was called was a collective approach in which only Durbin was irreplaceable. Although Koster was soon brought back. In 1944 Pasternak and Koster left Universal for MGM, which Koster did not like as it was less free and more impersonal than Universal, and he and Pasternak had a falling out. Soon Koster left MGM too. In 1947 he was hired by Samuel Goldwyn to make one film, The Bishop's Wife, which happens to be one of Koster's best films. He then signed with 20th Century Fox where he stayed almost 20 years until he got fed up with filmmaking in 1965 and retired. He went back to his original artistic interest, painting. There are several reasons for why The Bishop's Wife stands out, and it is mainly due to the team Goldwyn had assembled. 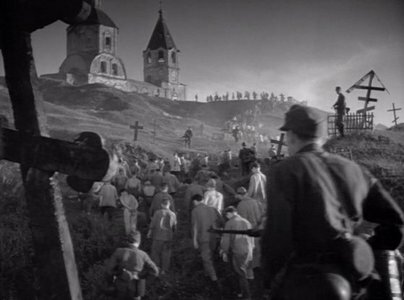 Gregg Toland was cinematographer, Robert E. Sherwood was the credited writer and Billy Wilder and Charles Brackett did uncredited writing too. The cast is lovely, with Cary Grant, Loretta Young and David Niven in a peculiar love triangle. Niven plays a bishop, Young his wife and Grant an angel sent to earth to give spiritual guidance to the bishop, who has lost his ways and is jeopardising his career, his integrity and his marriage. But Grant and Young fall in love, even though he is not of this world, and the bishop gets increasingly jealous of the flirtatious relationship between his wife and "his" angel. It does have all of Koster's typical hallmarks, including some choir singing. But, as is also a hallmark, something is still missing. It does not rise above the good. There is no greatness in Koster's work, however amicable or sweet the films might be, and The Bishop's Wife is not as sharp, stylish or emotional as it could have been, given the circumstances. But he still did some good films other than The Bishop's Wife, including two of his most famous: Harvey and The Robe. The first was not made at Fox but he was making it for Universal, although not with the same crew as in the 1930s. It was a stage play originally, but it is a typical Koster, with a wonderful performance by James Stewart as the man with the rabbit friend only he can see. It is a weird concept but it works quite well in the film, my only complaint is the slightly hysteric acting of some of the supporting cast. But when it is just Stewart, it can be rather spellbinding. He had also played the part on stage before the film. The Robe is a biblical epic about a Roman military tribune, played by Richard Burton, during the time of Christ. 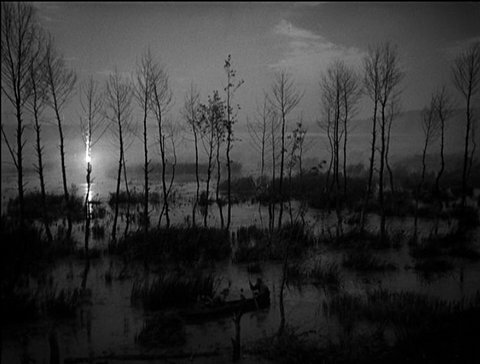 But it is more famous for being the first film shot in CinemaScope. Koster had also directed Burton's first American film, My Cousin Rachel, the moody 19th century-set drama based on Daphne du Maurier's novel and written and produced by Nunnally Johnson. But I wonder if No Highway is not the film of Koster I like best of those I have seen. It was made in England and about an airplane designer who is convinced that there is a weakness in one particular model and is desperately trying to stop it from being used. Part of the film takes place on board one such plane and there he tries to convince the crew and one of the passengers, a famous actress played by Marlene Dietrich, about the danger. He is played by James Stewart, who gives a typically lovely performance, and it is beautifully shot by Georges Périnal, and it is quite emotional and suspenseful. Stewart's engineer is a widower and single parent and a lot of the film's emotional undercurrent comes from this fact and his relationship with his daughter, played by Janette Scott. When Koster was asked about his own work, there are two quotes that are revealing. Once when asked about whether he tried to "put [his] signature on the films" he said "I tried to. I couldn't always penetrate, I couldn't get through, but I tried to reflect my personality, which today  would probably be too gentle and too sentimental and too coy." In another interview he said: "I like to have that family feeling. I have never been too much involved in love stories of young men and women, but always with parents and children, or friends. I don't know. It must be in me, something that I feel very strong about family, and about religion. These are things I believe in, in my own life, too"
To claim Henry Koster as a forgotten master or anything like that is not a particularly fruitful exercise. He may be disappointed in not having had the ability to develop his own ideas but there is no reason to assume that he would have been greater if he had. One of the later films he himself really liked, Good Morning, Miss Dove (1955), is to me close to insufferable. But film history is not just about the masters and most filmmakers are more like Henry Koster than John Ford, and knowing them and their place in that history is relevant too. Deanna Durbin and Koster on the set of Spring Parade (1940). Henry Koster (1987), interviewed by Irene Kahn Atkins. The Genius of the System (1996 ) by Thomas Schatz. Just Making Movies: Company Directors in the Studio System (2005) by Ronald L. Davis. 2017-12-03 I amended the part about the making about Three Smart Girls to clarify how Deanna Durbin made her appearance. I also added that Harvey was originally a play and that Stewart had played the same part on stage before.